For the past 11 years, Eola Hills Wine Cellars has embarked on a special international tour to explore new areas, new wines, and make new friends! This year Eola Hills has chosen Croatia and Italy as the top spot to visit! As April is drawing near, we like to take a chance to introduce the Eola Hills tour guides that will be attending along with some highlights, recommendations, and interesting facts about the areas we are traveling to. We do have a few spots left, so please reach out to us soon if you are interested in traveling with us. This will be a trip of a lifetime! This trip, our 11th annual to various wine regions around the world was actually sold out over a month ago….but with a number of cancellations, we find ourselves with a few open spots, and would love to fill them! Highlighting this year’s tour will be a 7 night Cruise along the Dalmation Coast of Croatia, island hopping from port to port, visiting some great wineries, and seeing some breathtaking country. 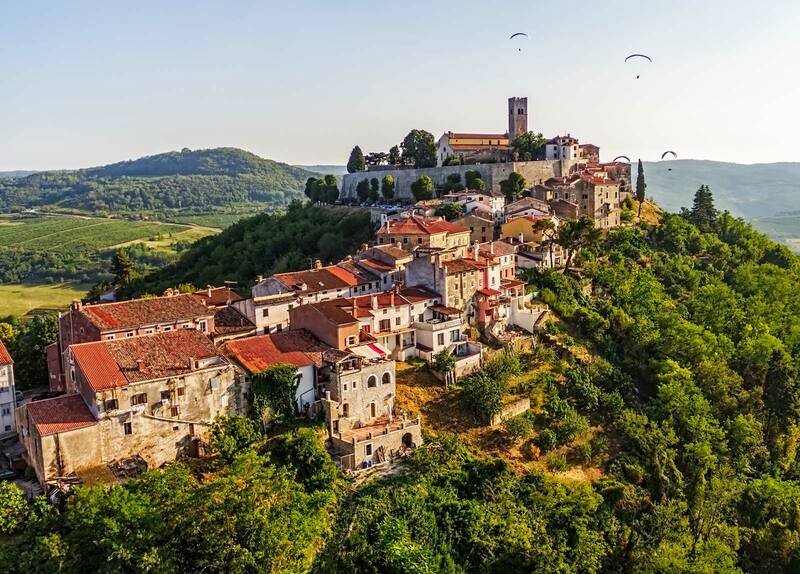 3 nights in the charming Istrian town of Rovinj is included in the 10 night “Main Trip”, and features several day trips to hilltop fortresses, wineries, and Roman ruins better preserved than Rome itself. We always have “Pre Trip” and “Post Trip” options on all our tours, and this year is no exception. The “Pre-Trip” is a 2 or 3 night option of Venice, and we have a great hotel right on the Grand Canal there. The “Post Trip”, as evidenced by the number of people already registered for it, may just be the highlight of the entire adventure. There is a 2 night option that includes a visit to one of the most gorgeous places in the World…..Plitvice National Park. The 5 night option adds on 4 nights in Trento, Italy. Surrounded by the beautiful Dolomite Alps and the Alto Adige Wine Country, words can’t describe the beauty of this part of the world. So whether interested in the 10 night Croatia portion, or the whole 18 night extravaganza….which more than half of those already registered have signed on for….we would love to have you join us. Prices start at $2895 per person double occupancy. Please call or email to sign up or to receive further details on this great tour. We will have a Bon Voyage Party at Eola Hills on April 8 to give all our travelers a chance to get acquainted and answer any last minute questions. “Pre Trip” starts in Venice on April 23, “Main Trip” starts in Venice on April 26, and the “Post Trip” starts in Dubrovnik on May 6. Hope you can join us!! I hope everyone is as excited about our upcoming trip to Croatia and Italy as we are. I’d like to introduce myself and my wife to all of you. 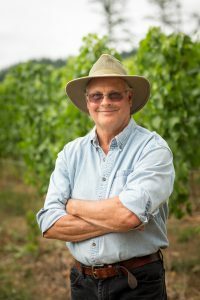 We are Jim & Kathy Huggins, and we will be travelling with you, along with Steve (Winemaker) & Nancy Anderson and Tom (General Manager & Founder) & Debbie Huggins, as tour escorts, representing Eola Hills Wine Cellars. 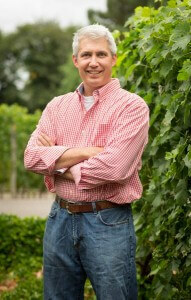 I have been Eola Hills’ Vineyard Manager for the past 35 years, just entering into semi-retirement this past January. In addition to the “Main trip”, where Kathy and I will assist on one of the cruise vessels, we will also travel along with both the “Pre” and “Post” trip folks in Italy. Steve & Nancy, along with Kathy and I, will be arriving in Venice @ 4:40pm, on Sunday, April 23, to meet our group of early arrivals, coordinating transfers to our hotel. We will cover that information, as well as more specific trip details at our upcoming Bon Voyage Party at Eola Hills Wine Cellars, currently scheduled for Saturday, April 8th (details to follow). If any of you have specific questions or requests, we will try to address as many of these between now and departure. 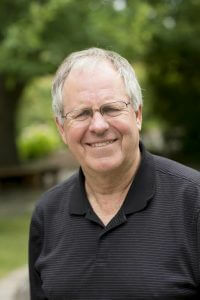 Tom will be updating you over the next several weeks, although you can contact Tom or Steve, at the winery, or me anytime (jkhuggins.jh@gmail.com) and we will try to assist. Although the following article does not detail specific wineries that we will visit in Croatia, it is a quite interesting piece on Croatian wine history. You can access it @ www.winemag.com/gallery/croatian-wine-on-the-rise/. 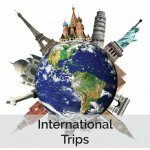 For you “Pre” trippers, this link, from one perspective, shares some information regarding top attractions in Venice that you might find helpful. www.timeout.com/city-guides/20-great-things-to-do-in-venice/. You will have some free time while in several cities, including Venice, so some of these side trips might be fun! Again, our intent is to provide you with some helpful information over the next couple of months to make our travels more enjoyable. Feel free to contact any of us, anytime. What an exciting trip we have planned. By far the most expansive, creative and far ranging trip ever by Eola Hills. Our first ever cruise, and along the Dalmatian coast, island hopping. A visit to the world renowned Plitvice National Park of Croatia. A fairy tale land of waterfalls. I recommend you look up on YouTube, 2 Cellos Plitvice, and watch the music video. That is where we are going. Click here to watch! Then we are on our way to Trento/Trentino. Yes that Trent, the famous city known for the council of Trent, where the Catholic church gathered to discuss Martin Luther’s reformation proclamation. Also home base for our Alto Adige/ Sudtirol wine excursions. We will visit the large complex of Ferrari, to sample exquisite Italian Sparkling wine, and another visit in Tramin, home of Traminer, reputed to be the origin of Gewurztraminer. While in Trent, we will have day excursions to Bolzano, and a lift to the mountain top to explore the many small villages and Chalet’, planned day trip to go “Biking with the boys!” (Tom and Jim) along the flat trails along the Adige and through the heart of this wonderful wine country. Electric assist are available I am told. Be prepared to walk a lot. There is much to see and do and you are only limited by your walking capacity. Start training today! As the Head Winemaker of Eola Hills for the past 23 years, I take great pride in exploring new things, especially if it involves experiencing new wines and new adventures. At Eola Hills, I am fortunate to be able to share my passions of winemaking with you by visiting wineries from around the world. 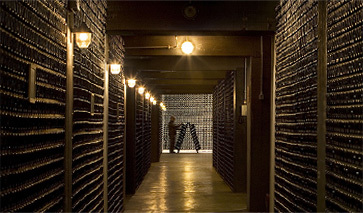 These wineries are among the many on my bucket list to visit! Ferrari Winery: “European Winery of the Year” at the Wine Star Awards of the American magazine Wine Enthusiast. Wine Enthusiast recognizes that “Guided by the third generation of the Lunelli family, Ferrari embodies the very best of metodo classico sparkling winemaking and what the family describes as the Italian Art of Living.” And continues: “Thanks to over a century of experience, Ferrari has helped put Italian sparklers on the world’s radar. No brand has reached the luxury status and prestige of Ferrari”.